The amazing folks at HJG had been planning a major update of their Boeing 727 fleet of simulations for more than a year now (I mentioned it in this article a year ago). Personally, I've been anxiously waiting for this upgrade ever since, constantly checking back on their website. Well, on the 28th of this month, they finally started to release their improved 727s, and the reason I say "started" is because this is only the first of a total of 3 stages in which their 727 update is to be released, the other 2 stages being scheduled for release at a later date. This first stage of updates brings us new 727-200 3D models which greatly expands the already diversified 727-200 flightline offered by HJG, in other words, many more versions of the 727-200 are now available (such as winglet-equipped models). These new models are accompanied by new flight dynamics and new/updated panels to match them. New and updated panels are also available for 727-100. 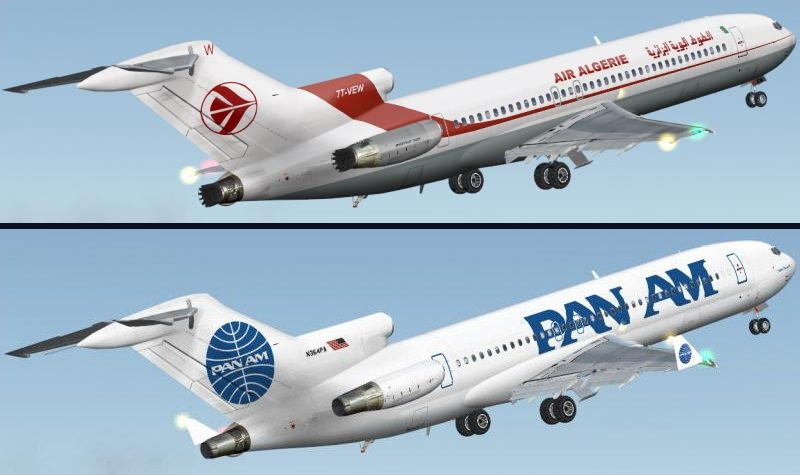 Updated 727-100 models are to be released in the next stages of the update. For more info and the official announcement, hit this link.